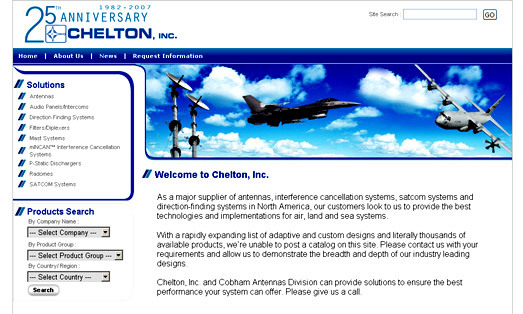 Chelton, Inc. has become a leader in the commercial and military antenna community in North America. Their success is based on helping customers solve their antenna isues with standard or custom products to satisfy specific program requirements. Segnant created a website for Chelton Inc. that allowed them a place to display their products and give more information to their customers.